Javi Gracia's ​Watford will welcome Premier League strugglers Fulham to Vicarage Road on Tuesday evening. For ​Watford, left-back Jose Holebas was deemed only fit enough​ for a place on the bench in Saturday's loss to ​Manchester United, but could be reinstated to the starting lineup on Tuesday. ​Tom Cleverley remains unavailable as a result of a calf injury. ​Fulham face the possibility of needing to score goals without ​Aleksandar Mitrovic who, alongside Tim Ream and Jean Michael Seri, missed out against ​Manchester City after returning from the international break unfit. Long-term absentees Alfie Mawson and Marcus Bettinelli remain sidelined through their respective knee injuries. The fixture list has not been kind to Watford in recent weeks, with the Hornets falling to defeats against ​Liverpool, Manchester City and Manchester United. However, Gracia's men were unlucky to be on the losing end at Old Trafford on Saturday, and they will be eager to put in a similar performance and send Fulham packing. Tuesday's match promises to be an exciting one. 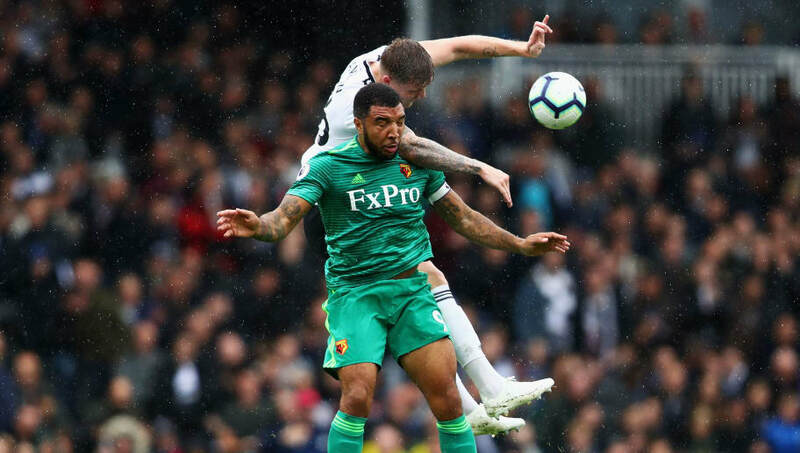 Watford need a win to keep their faint hopes of Europa League qualification alive, whilst Fulham need a win if they are to preserve their ​Premier League status. ​As we so often see at this stage of the season, teams in a relegation battle can turn into 1970's Brazil in their search for a lifeline, but we have seen little from Fulham that suggests that they can survive in the Premier League. A shock is always possible, but it seems incredibly unlikely. In 2019, Watford have lost just once against teams outside the top five, which does not bode well for the Cottagers. ​Huddersfield fell on Saturday, and Fulham are surely set to follow them down to the ​Championship.